So you're the kind that likes to do-it-yourself? Excellent! We learned all about hydroponics by building our own homemade hydroponic DIY units... from scratch. It's by far the cheapest (and most satisfying) way to go, especially if you want to tinker around with different methods. 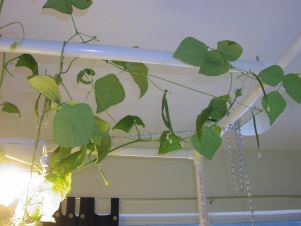 One of the best things about hydroponics is its versatility and adaptability. Your choices for this gardening method are wide open. You can grow some heirloom tomatoes in a 5 gallon "bucket bubbler", gourmet hydro herbs on a kitchen windowsill, or sugar baby melons in a large bedroom farm. You can create a garden from 2-liter soda bottles and hang it in a window. Or you could spend thousands on a state-of-the art NFT or aeroponics system. What an interesting and fun hobby! We invite you to explore your options. But if money is a problem (isn't it for most of us), the gardens we explain below are full-sized, and very productive, without spending an arm and a leg. And if you have a DIY (do it yourself) mindset, you'll have a blast building one of these babies. And with a little planning and judicious replanting, you will quickly recoup your startup costs with bountiful harvests of fresh, tasty produce for your kitchen (or medical herbs, if that is your bag). In the "4 Simple Systems" section of our website, we taught you how to build some mini-farms so you could "test the hydro waters". But now it's time for you to graduate to a full-sized garden, right? We have repeatedly planted and thoroughly tested all the major hydro systems and chose 4 different gardens to present here. They were selected based on simple design, low cost, ease of operation, and fantastic results. They are our favorites, and we know that one or more of them will become yours, too. You can always set up your homemade hydroponic unit easily and cheaply: a sheet of plywood sitting on concrete cinder blocks. BUT, you must use care working around this type of setup, not to bump it and knock it over... what a mess that would make! And you would have to drill some holes in the ceiling for some lamp hooks. With an improvised stand, you also won't have any means to tie up string so you can trellis your vining crops. Do we have a solution to this problem? But of course! We have designed an awesome PVC stand that can be used for any of the major hydro systems listed below (as well as other advanced systems). We named it the HydroPad®, and we are very proud of it's clever design. 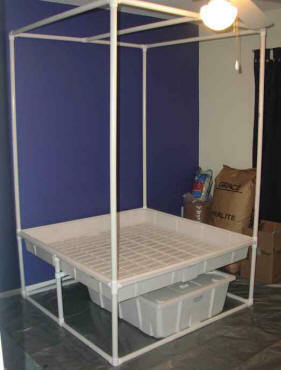 The HydroPad® is lightweight, sturdy, attractive, economical, and can be broken down quickly for storage or moving. It is easily adaptable for use with ebb and flow, top-drip pots, Autopots, or a big lettuce raft. You could also try split-plans: half pots and half lettuce raft. You can mount any type of light system onto this stand, even dual lamps. So if you change your mind later and want to try a different hydro system or lights, our nifty HydroPad® will serve you well for any configuration of garden you can throw at it. And it will stay standing for many years to come, as it is waterproof and chemicals can't harm it. 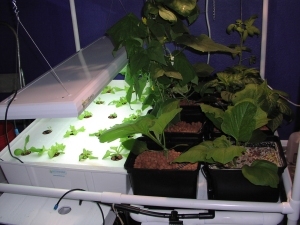 You will find complete, detailed DIY instructions for building one on your own in our best selling Simon's Hydroponic Systems E-book . Unless you have a sunny patio you can use year-round, or a greenhouse in your back yard, you will have to provide "artificial sunlight", or supplemental lighting, for your homemade hydroponic garden. What kind of lamps? Glad you asked that! It depends on what you want to grow. 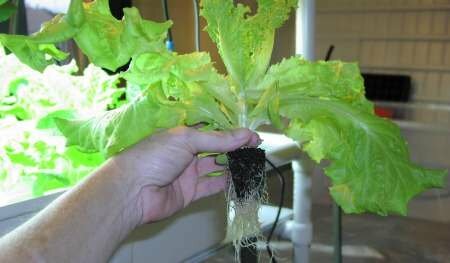 If all you want to grow is lettuces and greens like spinach, then a high-output T5 fluorescent lamp will work just fine. You'll need one 4-bulb X 4-foot long lamp for each HALF of your 4'X4' system. In other words, each lamp will cover a 2'X4" section.... perfect for a 2X4 foot lettuce raft like we often use. If you want to go with a huge, 4X4 raft, you will need two T5 lamps. Read more about high output T5 fluorescent lamps here. There is also a link to order one on that page if you would like. Now then, if you want to grow any crops which flower or produce fruits or medical herbs, fluorescent lights just won't get it... they do not provide the spectrum of light needed to sustain this type of growth. 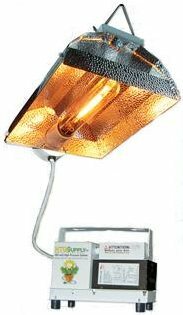 Okay, so now you know that ideally, you should have a lamp that will use both MH bulbs (for the growing stage) and HPS bulbs (for the flowering stage). Well, we've got you covered here too! You will not find a better deal than this super Combo Lighting Kit. 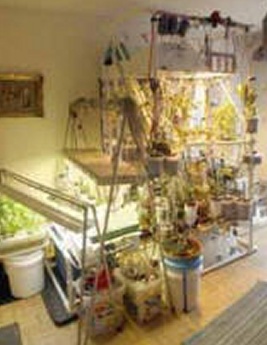 CHECK OUT THESE COMPLETE HYDROPONIC KITS.